A sport defined by bicycle kicks, crosses, set pieces, and headers. And if none of those terms in the previous sentence elicit a response from you, it means you probably don’t really care about soccer. Around the globe, soccer, or “footie” as some call it, is easily the most popular sport. One event you may have heard of, the FIFA World Cup, the planet’s largest sporting event, is chugging along in the perpetually inexplicable host country, Russia. With all the scandal and corruption, Russia still gets awarded with international tournaments routinely. What was once 32 teams is halved down to 16, and the United States was never one of them, not in 2018. While you can point to a plethora of reasons for soccer’s failure to strike a nerve with American sports fans, the country’s lackluster history in this tournament glares above most. The US Men’s National Team faired best in the tournament that took place a summer after the stock market crash of 1929. And, from 1950 to 1990, they didn’t even qualify. Why is this sport so bad here? And why don’t people care? Taken on balance, soccer is a highly-athletic sport with rich history and elite competition. You have one more reason to get together at your favorite sports bar with your friends, cheer, drink, and eat nachos. What more do you need? Honestly, I find it embarrassing the fact that America failed to qualify for this tournament in 2018. We have elite athletes across so many major sports and can’t assemble a national team strong enough for at least an appearance. I get that people don’t really like soccer here, or certainly a lot less than other major sports. We even call it by a different name than the rest of the world. But, I grew up in a baseball town, live in a baseball town, and I love soccer. 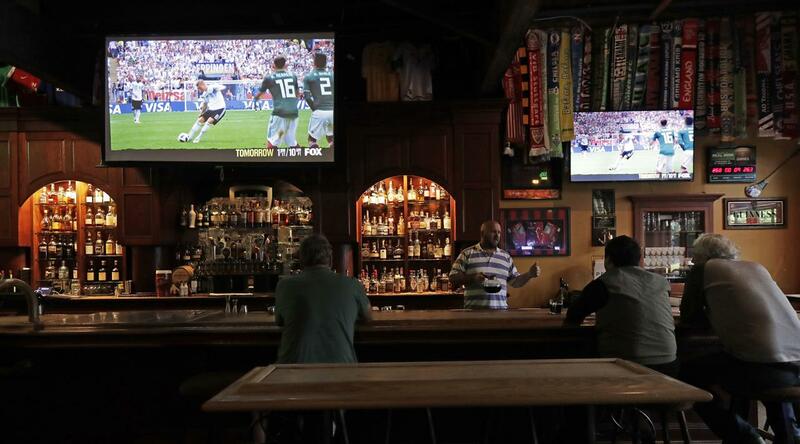 America doesn’t hate soccer, quite the contrary. Fans want to love the sport, rewind four years ago when the USMNT, led by an inspired performance from then goalkeeper Tim Howard, shutdown opposing teams en route to a berth in the quarterfinals. He netted a tournament-record sixteen saves, fans got pumped about the sport, then excitement again sputtered out. I mean, I get it: the rules are weird, the games are low scoring, and the game clock counts up. So, how do we get futbol from padawan to a jedi? Well, like much like Drake, it starts from the bottom grass roots. Ruben del Villar, a former reserve goalkeeper for the Chicago Fire sees youth programs as a path to success: “The game gives kids a positive way to engage in physical activity, have something they’re passionate about”. Admittedly, basketball was his first organized sport growing up, he started playing soccer at age seven. His favorite player is Lionel Messi, the Argentine striker, who just helped his country stave off elimination against Nigeria. The team with the cool jerseys. For the sport to really take hold here in the States, kids need an awareness, holding legends like Messi, or Cristiano Ronaldo, on the same echelon as Chris Sale or Tom Brady. For that to happen, a major American star must emerge. In all plausibility, a player like that can pique interest, get fans to the stadium, and mark a spot on the map with a branding iron. We spoke earlier about the passion of soccer fans, folks who wear scarves around their necks in the sweltering summer heat. The chants are in full throat from the first corner kick to the last yellow flag. A typical MLS game makes a New England Patriots game look like a TED Talk. The game is worth it and there’s reason to believe people will buy into the fun and the storylines at times other than every four years for the World Cup. When major teams like Manchester United play “friendly” matches here in the U.S. are crucial because they put out the bat signal and play at a time people can watch. Starting as a curiosity and spreading to a point where you notice the strategy and nuance to the game. There’s a reason why they call it beautiful, just tune in and find out for yourself. You might just like what you find.